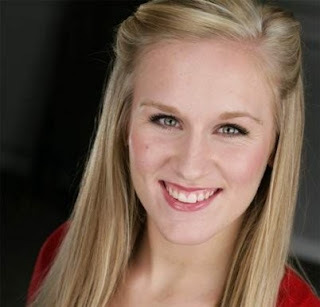 We are proud to post our first exclusive “Wicked” cast member interview – with Ms. Stephanie Torns, who is in the ensemble and understudies Elphaba on the 1st National Tour of “Wicked”. If you see the first national tour and she’s not playing Elphaba, you’ll hear her singing “No one cries they won’t return” in “No One Mourns the Wicked” and “I hear that she can shed her skin as easily as a snake!” in “Thank Goodness!” We appreciate Stephanie being kind enough to give us this interview and wish her the best in performances to come! -My first professional acting job out of college was “The Producers” in Hilton Head, South Carolina. -It was a total of about two and a half weeks. It was a bit strange for me because I’ve never joined a show that’s been up and running already, so when you learn the show it’s just you by yourself with the dance captain. So it was a little scary in the sense that you just have to really know your numbers on the stage so you don’t cause any problems with the show. Then I had my dress rehearsal which is called a “put in” and its you and the entire company running the show but only you are in costume and everyone else is in street clothes. Then I went on that night! -Hmmmm my favorite costume for my ensemble track is my Ozdust ballroom black and white dress! For Elphaba, it’s definitely the second act dress it’s just soooo unbelievably beautiful. How was the initial rehearsal process for Elphaba, and what was your first performance like? -Well once I was put into the show for my ensemble track, we immediately started the Elphaba material. Rehearsal process for this was very fun and ALOT of information thrown at you to learn. My first performance on was in Appleton, Wisconsin and it was a complete outer body experience!! But my family was out there so I knew they would be proud no matter what! 🙂 Of course every show after that I am able to enjoy myself out there and not be as nervous! -My favorite song to sing in the ensemble is the opening of the show because it’s just such a wonderful way to bring the audience into the story of what just happened. My favorite scene is either Dancing Through Life or Ozdust because we get to have so much fun up there and enjoy one another. For Elphaba my favorite song to sing is Defying Gravity because it’s the climax of the show for her and the lyrics are just so moving to me. My favorite scene has got to be the cat fight scene!! It shows both women in different ways, because it has strength and laughter all at once. -Oh my. Well there are A LOT of things that happen sometimes, but I would say its ALWAYS funny to see someone wipe out in the opening. I’ve done it twice and so have many other people. -Never give up. This business is a lot of rejection, and you just have to believe in yourself and your dreams and just learn from all of your experiences. I’m a true believe that everything happens for a reason! We thank Ms. Torns again for her time and wish her the best! To the readers – keep watching for two more exclusive interviews headed your way very soon! This entry was posted in Exclusive Interviews and tagged 1st National Tour Production, Stephanie Torns. Bookmark the permalink. "Well truth be told, ever since high school, I've always wanted to play Elphaba one day." I think this is fantastic! I'm very happy for her. Me too! And I'm thrilled she was so willing to do the interview – and three more people have agreed to do them, so keep watching! What a great interview! Nice questions and I really enjoyed reading her answers. Wow, what a great interview–good questions, wonderful answers! Thanks! Nice interview. Very fun to read.